How California is predicting and preparing for the inevitable. No image credit. There’s a crack in California. It stretches for 800 miles, from the Salton Sea in the south, to Cape Mendocino in the north. It runs through vineyards and subway stations, power lines and water mains. Millions live and work alongside the crack, many passing over it (966 roads cross the line) every day. For most, it warrants hardly a thought. Yet in an instant, that crack, the San Andreas fault line, could ruin lives and cripple the national economy. In one scenario produced by the United States Geological Survey, researchers found that a big quake along the San Andreas could kill 1,800 people, injure 55,000 and wreak $200 million in damage. It could take years, nearly a decade, for California to recover. On the bright side, during the process of building and maintaining all that infrastructure that crosses the fault, geologists have gotten an up-close and personal look at it over the past several decades, contributing to a growing and extensive body of work. While the future remains uncertain (no one can predict when an earthquake will strike) people living near the fault are better prepared than they have ever been before. All of the land on Earth, including the ocean floors, is divided into relatively thin, brittle segments of rock that float on top of a much thicker layer of softer rock called the mantle. The largest of these segments are called tectonic plates, and roughly correspond with the continents and subcontinents of the earth. The San Andreas fault is a boundary between two of these tectonic plates. In California, along the fault, the two plates–the Pacific plate and the North American plate–are rubbing past each other, like you might slip by someone in a crowded room. The Pacific plate is moving generally northwest, headed towards Alaska and Japan, while the North American plate heads southwest. In a simplified, ideal world, this movement would happen easily and smoothly. Because it covers such a large area, not all of the fault moves at the same time. In the middle, things are moving rather smoothly, with part of the Pacific plate gliding by the North American plate with relative ease, a segment that scientists say is ‘creeping’. It’s at the northern and southern extremes where things get tricky. The real problems begin when the plates get stuck, or wedged together. The fear of a huge earthquake from the San Andreas devastating the west coast has been rich fodder for disaster films, including Superman and, more recently, San Andreas. The good news is that the worst-case scenarios in those films are completely impossible. California will not sink into the sea, and even the largest possible earthquake is short of anything that the Rock had to wrestle with. In 1906, the northern segment of the fault, near the city of San Francisco, ruptured along nearly 300 miles, causing a huge earthquake that led to fires, downed buildings, and thousands of casualties. The death toll was between 700 and 2,800. Meanwhile, other segments of the fault, like one south of Los Angeles that hasn’t seen a large earthquake since 1690, are considered stalled. Centuries of energy are built up and ready to be released. When? Nobody knows. Recent analyses suggest that in a worst-case scenario, the San Andreas would beget an earthquake ranking an 8.3 on the Richter scale, a logarithmic scale on which a 6.0 is ten times as powerful as a 5.0, a 7.0 ten times as powerful as a 6.0, and so forth. To put that in context, earthquakes under 2.5 are rarely felt. Earthquakes under 6.0 can cause some damage to buildings, but aren’t major events. Above that level things start to get interesting. The largest recorded quake in the United States was a 9.2 earthquake that hit Alaska in 1964. “That would require the San Andreas to rupture wall to wall from its southern extremis to up to Cape Mendocino,” says Tom Jordan, the director of the Southern California Earthquake Center at The University of Southern California,. He explains that the creeping segment in the middle acts as a buffer, making the 8.3-magnitude earthquake much less plausible than some other options. Even if the 8.3 earthquake never materializes, scientists worry that a rupture along the long-inactive southern segment could be devastating, compounded by the large population in the area. The 1989 Loma Prieta earthquake that shook San Francisco was only a 6.9, but it caused billions of dollars in damage injured over 3,000 people, and killed 63. “The San Andreas lies close to the coastline where people live,” Jordan says. The valleys along the coast that proved so enticing to the settlers who founded cities like Los Angeles are large areas of sedimentary rock that could be hugely problematic in an earthquake. But even just a medium-bad scenario could be enough to kill hundreds and ruin the economy. Researchers like Jordan are building up huge, incredibly detailed 3D maps of the geology near the San Andreas fault. These maps can be used to generate detailed assessments for almost any possible earthquake scenario that might happen along the fault. In 2008, United States Geological Survey scientist Lucy Jones and colleagues published the ShakeOut scenario, a detailed report that looked at what could happen if a large (magnitude 7.8) earthquake occurred along the southern leg of the fault. Just like the 1906 earthquake in San Francisco, people living in the area would be without power and water for interminable lengths of time, and in the immediate aftermath, firefighters would not have access to water to fight the fires that would spring up in the wake of the disaster. And in California’s current drought, the fires after the earthquake could prove more devastating than the shaking itself. Scientists may not be able to predict where and when a strike will hit, but the more they understand what could happen, the more they can help plan for any event. Last winter, Los Angeles Mayor Eric Garcetti announced a plan called Resilience By Design, that tries to address the huge risk facing the city if there was an earthquake along the San Andreas. “It is highly unlikely we’ll make a century [without a large earthquake]” said Jones, who also headed up the Resilience by Design group. Reinforcing the city’s lifelines, like roads and utilities, is a huge priority. Fortunately, California has a precedent to the north. In 2002, the Denali fault in Alaska slipped and caused an earthquake with a magnitude of 7.9, the largest inland earthquake recorded in the country in 150 years. And running right across that fault was the Trans-Alaska Pipeline, an 800-mile long piece of infrastructure that carries 550,000 barrels of crude across near-pristine tundra every day. “It was the biggest ecological disaster that never happened.” Jones said. The pipeline was built to accommodate the movement of the earth, so that even though the earth slid by up to 18 feet in the 2002 earthquake, the pipeline didn’t break, averting a serious oil spill. To avoid rupturing, the engineers designed the above-ground portion of the pipeline in an intentional zig-zag pattern instead of a straight line, giving the pipeline flexibility. The pipeline itself can also slide. Instead of being anchored in the permafrost, part of the pipeline sit on Teflon-coated ‘shoes’ which rest on huge steel beams that sit perpendicular to the pipeline. In the event of shaking, segments of the pipe can slide on the beams like train cars on rails, without breaking. Denali Pipeline. The zig-zag pattern allows it to flex and move without breaking. In California, water pipes and electrical lines could be built or retrofitted with similar flexibility. Researchers are even working on building earthquake-resistant houses that can slide back and forth on instead of crumbling. Unlike traditional homes, which sit on a foundation, these earthquake-resistant homes sit on sliders made out of steel, that, just like the Trans-Alaska Pipeline, can slide over the shaking ground instead of breaking. The internet of everything has a role to play here too. In the future, networks of devices scattered across the southern California landscape could monitor an earthquake as it starts. This seismic network could send out an alert as the earthquake propagates through the earth, giving utilities precious seconds of warning to shut off valves in pipes along the fault, shut off power to prevent damage, and even send an alert to operating rooms, allowing a surgeon to remove her scalpel from a patient before the shaking even begins. Scientists already have a seismic network in California, but more seismic sensors and technical development are needed to get the fledgling network to the next level. Unfortunately, those developments require money, and getting enough funding to build the next system has been elusive. The cost for a truly robust alert system is estimated at $80 million for California alone, and $120 million for the whole West Coast. But funding is sparse. Earlier this year, President Obama pledged $5 million. The first sensors are already being used by San Francisco’s mass transit system to slow down trains in the event of an earthquake. To see what the future of California might look like, one only has to glance west towards Japan, where even their fastest trains come to a halt at the first sign of an earthquake, elevators allow people to disembark, and people get warnings on radio, TV, and cell phones. Similar techniques could be employed near Los Angeles, Jones says, making the city ready to bounce back from even the worst earthquake that the San Andreas can throw at the city. Ralph Waldo Emerson once said that “we learn geology the morning after the earthquake.” Fortunately for Los Angeles, plenty of people, from geologists to city and emergency planners, have no intention of waiting that long. Earthquakes in California cluster along its fault lines. Here are the epicenters of the state’s strongest 20th-century quakes. Even though truly massive quakes on the San Andreas are rare, it’s still a very active line, with many dots appearing along its length. The animation includes all California earthquakes between January 1900 and July 2015 with magnitude 4.2 or greater. The circle size represents earthquake magnitude while color represents date, with the earliest quakes in yellow and the most recent in red. The San Andreas appears as a red line running down the left side of the state. Better seismic sensors detect weaker earthquakes, so milder quakes don’t appear in the early years of the animation. A series of small earthquakes up to magnitude 4 started popping off right next to the San Andreas fault at the end of September, giving Californian seismologists the jitters. This swarm of more than 200 mini-quakes radiated from faults under the Salton Sea, right down at the southern end of the San Andreas fault. And although the small quakes only released tiny amounts of energy, the fear was that this fidgeting could be enough to trigger an earthquake on the big fault. “Any time there is significant seismic activity in the vicinity of the San Andreas fault, we seismologists get nervous,” said Thomas Jordan, director of the Southern California Earthquake Centre in Los Angeles. Because despite a plethora of sensitive instruments, satellite measurements and powerful computer models, no-one can predict when the next big one will rattle the Golden State. Slicing through 1,300 kilometres of Californian landscape from Cape Mendocino in the north-west all the way to the Mexican border in the south-east, the San Andreas fault makes itself known. Rivers and mountain ranges – and even fences and roads – are offset by the horizontal movement of this “transform” fault, where the Pacific Ocean plate to the west meets the North American plate to the east. The fault moves an average of around 3.5 centimetres each year, but the movement comes in fits and starts. Large earthquakes doing most of the work, punctuating long periods of building pressure. The fault divides roughly into three segments, each of which tends to produce a big quake every 150 to 200 years. The last time the northern segment (from Cape Mendocino to Juan Bautista, south of San Francisco) released stress was during the devastating magnitude-7.8 San Francisco Bay quake in 1906, which killed thousands and destroyed around 80% of San Francisco. Meanwhile, the central section, from Parkfield to San Bernardino, has been quiet for longer still, with its last significant quake in 1857, when a magnitude-7.9 erupted underneath Fort Tejon. But most worrying of all is the southern portion (from San Bernardino southwards through the Coachella Valley), which last ruptured in the late 1600s. With more than 300 years of accumulated strain, it is this segment that seismologists view as the most hazardous. “It looks like it is locked, loaded and ready to roll,” Jordan announced at the National Earthquake Conference in Long Beach in May 2016. This explains why the recent earthquake swarm was considered serious enough for the United States Geological Survey to issue a statement: that the risk of a magnitude-7 quake in Southern California was temporarily elevated from a one in 10,000 chance to as much as a one in one in 100. And last year he showed it’s not just the San Andreas fault we need to worry about. Working near the northernmost segment of the fault, Bürgmann and his colleagues used satellite measurements and data from instruments buried deep underground to map out the underground shape of two smaller faults – the Hayward and Calaveras – which veer off to the east of San Francisco. These two smaller faults, which are known to be capable of producing their own sizeable earthquakes (up to magnitude 7), turned out to be connected [Geophysical Research Letters]. Until now, sediments smothered the link. 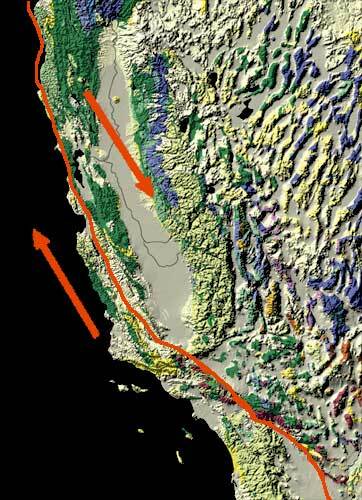 And in October, another study published in Science Advances showed that the Hayward fault is connected by a similarly direct link to a third fault to the north – the Rodgers Creek fault. “This opens up the possibility of an earthquake that could rupture through this connection, covering a distance of up to 160 kilometres and producing an earthquake with magnitude much greater than 7,” Bürgmann says. Down the other end of the San Andreas fault, Julian Lozos from the California State University in Los Angeles has been testing various earthquake scenarios using a detailed computer model of the fault system. He too has shown that a seemingly minor side-fault – known as the San Jacinto – is more of a worry than previously thought. In this case, the San Jacinto falls short of intersecting the San Andreas by around 1.5 kilometres, but Lozos’ model suggests large earthquakes can leap this gap. “We already know that the San Andreas is capable of producing a magnitude-7.5 on its own, but the new possibility of a joint rupture with the San Jacinto means there are now more ways of making a magnitude-7.5,” says Lozos, whose findings were published in Science Advances in March this year. By feeding historic earthquake data into his model, he showed that the magnitude-7.5 earthquake that shook the region on 8 December 1812 is best explained by a quake that started on the San Jacinto but hopped across onto the San Andreas and proceeded to rupture around 50 kilometres north and southwards. If such a quake were to strike again today, the consequences could be devastating, depending on the rupture direction. “The shaking is stronger in the direction of unzipping,” explains Lozos. And in this case, the big worry is a northward unzipping, which would funnel energy into the Los Angeles basin. In 2008, the United States Geological Survey produced the ShakeOut Scenario: a model of a magnitude-7.8 earthquake, with between two and seven metres of slippage, on the southern portion of the San Andreas fault. Modern buildings could generally withstand the quake, thanks to strict modern building codes, but older buildings and any buildings straddling the fault would likely be severely damaged. But the greatest concern was the effect the movement would have on infrastructure – slicing through 966 roads, 90 fibre optic cables, 39 gas pipes and 141 power lines. Smashed gas and water mains would enable fires to rage, causing more damage than the initial shaking of the quake. The overall death toll was estimated at 1,800, and the long-term consequences expected to be severe, with people living with a sequence of powerful aftershocks, and a long slow road to recovery. Simply repairing water mains, for instance, could take up to six months. In this simulation, the city of Los Angeles doesn’t take a direct hit, since it lies some way from the San Andreas fault. But there is another scenario which keeps Jordan awake at night. Back in 1994, a magnitude-6.7 “Northridge” earthquake struck the San Fernando valley, about 30 kilometres north-west of downtown Los Angeles, killing 57 people and causing between US$13 and $40 billion of damage – the costliest natural disaster in the US at that time. “This was a complete eye-opener for us all, as it occurred on a blind thrust fault that no-one knew existed,” says Jordan. Geologists have since worked overtime to discover these hidden faults, and in 1999 they found that Los Angeles itself sits atop the Puente Hills fault – a steeply angled “thrust” fault that is thought to produce earthquakes of greater than magnitude 7 every few thousand years. “We are more likely to see a large earthquake on the San Andreas fault in the short to medium term, but we still have to accept that this thrust fault could move at any time, and because of its location underneath Los Angeles, the consequences would be very severe,” says Jordan. Much of Los Angeles is underlain by soft sediments, which wobble furiously when rattled by a quake, and it is these areas that would likely sustain the most damage. Thankfully, the Los Angeles city council is taking the risk seriously. Models such as ShakeOut Scenario motivated the city to produce emergency plans and retrofit dangerous buildings. Seismologists such as Jordan and Lozos live in Los Angeles, but confess that the risk does affect their everyday life. You can help catch earthquakes. And it might be holding everything together. Just days after a cluster of more than 200 small earthquakes shook the Salton Sea area of Southern California, scientists have found evidence of a second fault line that runs parallel to the massive San Andreas Fault – one of the state’s most dangerous fault lines. The new fault appears to run right through the 56-km-long Salton Sea in the Colorado Desert, to the west of the San Andreas Fault. Now that we know it’s there, seismologists will be forced to reassess earthquake risk models for the greater Los Angeles area. “This previously unidentified fault represents a new hazard to the region and holds significant implications for fault models … and, consequently, models of ground-motion prediction and southern San Andreas Fault rupture scenarios,” the team from the Scripps Institution of Oceanography and the Nevada Seismological Laboratory reports. Now known as the Salton Trough Fault, the newly mapped fault has been hidden for all this time because it’s submerged beneath the Salton Sea – a vast, salty rift lake that formed as a result of all the tectonic activity in the area. The team had to use an array of instruments, including multi-channel seismic data, ocean-bottom seismometers, and a surveying method called light detection and ranging (LiDAR), to precisely map fault inside several sediment layers both in and surrounding the lakebed. 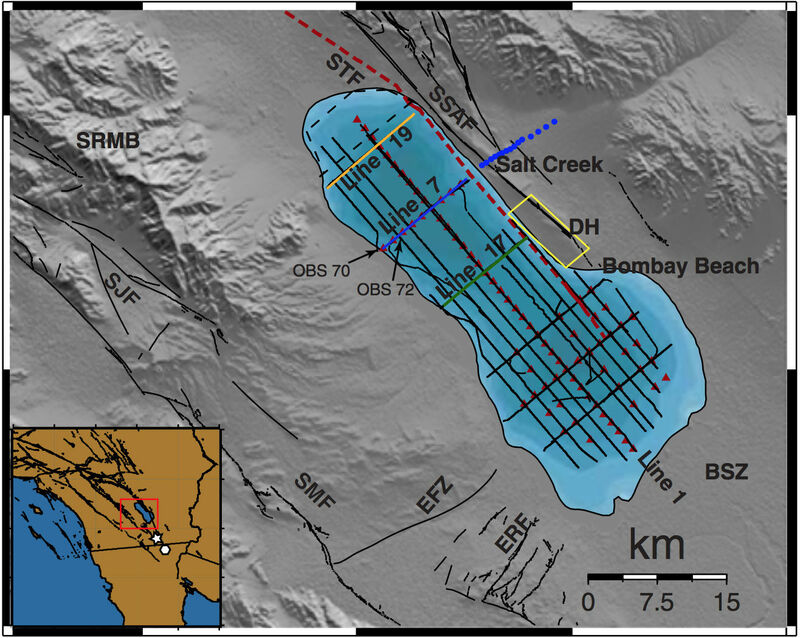 “The location of the fault in the eastern Salton Sea has made imaging it difficult, and there is no associated small seismic events, which is why the fault was not detected earlier,” says Scripps geologist Neal Driscoll. Oddly enough, the fact that we now know there’s an extra fault line running parallel to the San Andreas Fault doesn’t necessarily mean the area is more prone to earthquakes than we originally thought. It might actually solve the mystery of why the region has been experiencing LESS earthquakes than expected. As the team explains, recent research has revealed that the region has experienced magnitude-7 earthquakes roughly every 175 to 200 years for the last 1,000 years. But that’s not been the case more recently. In fact, a major rupture on the southern portion of the San Andreas Fault has not occurred in the last 300 years, and researchers think the region is long overdue for a major quake. Now they have to figure out what role the Salton Trough Fault could have played in all that. 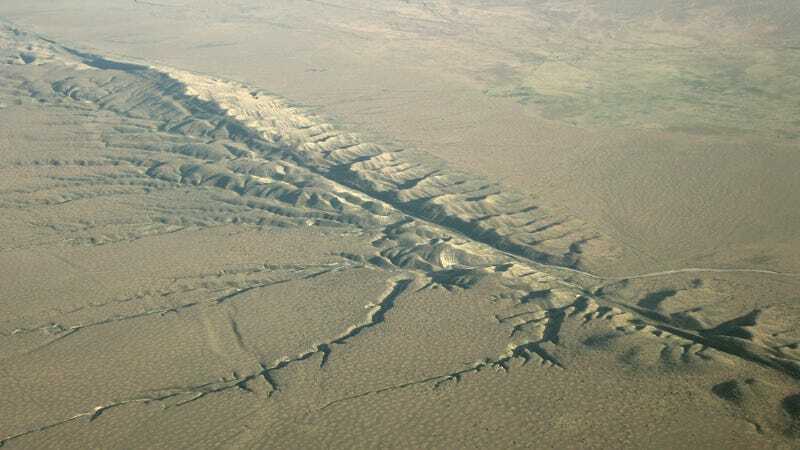 “The extended nature of time since the most recent earthquake on the Southern San Andreas has been puzzling to the earth sciences community,” said one of the Nevada team, seismologist Graham Kent. A map of the new fault line, STF. Credit: Sahakian et. al. On Monday morning, ominous rumblings started to emanate from deep underneath the Salton Sea, and then a ‘swarm’ of small earthquakes – three measuring above magnitude 4 – ruptured at the nearby Bombay Beach. The ruptures continued for roughly 24 hours, with more than 200 small earthquakes having been recorded in the area. These small earthquakes – or temblors – were not very severe, but this is just the third time since records began in 1932 that the area has experienced such an event. And this one had more earthquakes than both the 2001 and 2009 events. The event caused the US Geological Survey to increase the estimated risk of a magnitude 7 or greater earthquake in the next week from to between 1 in 3,000 and 1 in 100. To put that in perspective, without any quake swarms, the average risk for the area sits at around 1 in 6,000. Fortunately, the increased risk now appears to have passed, and according to the Los Angeles Times, California governor’s Office of Emergency Service just announced that the earthquake advisory period is now officially over. Of course, for those living in the area, it’s cold comfort, because the southern San Andreas Fault is still “locked, loaded, and ready to go”. Let’s hope the discovery of the Salton Trough Fault will make it easier for seismologists to at least predict when that will happen. 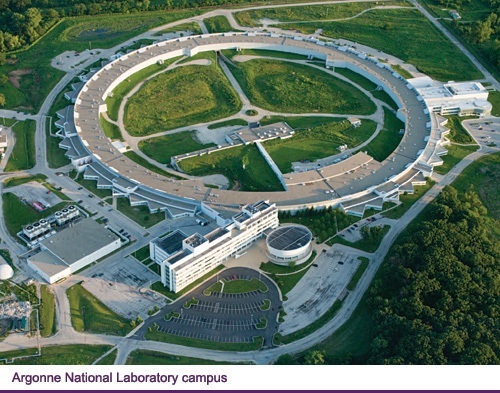 The research has been published in the Bulletin of the Seismological Society of America. Much like ocean waters rise and fall during daily tidal cycles, the Earth’s crust bows outward, then relaxes every day, pulled by the Moon. The ocean also rises and falls on 2-week tidal cycles when the pull of the Sun reinforces the tug of the Moon, a phenomenon also observed in Earth’s crust. According to new measurements, this bulging of the crust every 2 weeks cyclically increases the numbers of small earthquakes that take place deep in the San Andreas Fault. These temblors occur between 15 and 30 kilometers underground and release too little energy too slowly to be felt by anyone on the surface. What’s more, the pattern of these slow-moving earthquakes reveals something unexpected—that they “are most common during the week when tides are growing rather when tides are the biggest,” said Nicholas van der Elst, a geophysicist at the Earthquake Science Center at the U.S. Geological Survey (USGS) in Pasadena, Calif. Van der Elst and his team published the findings on 18 July in the Proceedings of the National Academy of Sciences of the United States of America. The new study shows no connections between these “low-frequency earthquakes,” as researchers refer to them, and the sudden, ground-shaking earthquakes that typically originate much closer to the surface and can cause widespread destruction and death. However, their very presence reveals information about the deep mechanics of the fault. 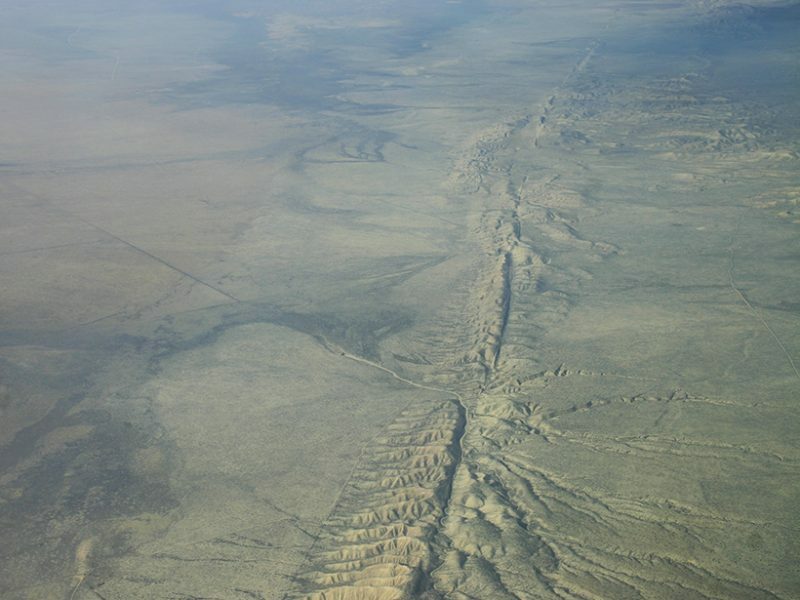 Despite their “low-frequency” label, these earthquakes are detected more frequently than any other class of quakes near Parkfield, Calif.—the section of the San Andreas Fault observed in the study. More than a thousand of these low-level seismic slips register every day at Parkfield, but because of their depth and low magnitudes (<1) people can’t feel them. Scientists refer to them as “low frequency” because they are characterized by slow seismic waves of compression and expansion analogous to low-frequency (i.e., low-pitch) sounds. Seismologists from the USGS and Northern California Seismic Network recorded these slow quakes near Parkfield with sensitive seismic equipment placed in deep holes. They set out to record small tremors of slightly greater magnitude in areas where the fault is already known to churn with deep activity. The low-frequency quakes became apparent only when scientists used algorithms to extract weak signals from background noise. By contrast, in the relatively shallow areas where the “big one” might hit, the fault moves far less, allowing stress to build up until a large quake occurs, said van der Elst. Finding that the crustal tide affects deep, little quakes isn’t entirely new. Scientists previously looked into the frequency of earthquakes during daily Earth tides, which sometimes lift rock by a few centimeters over a 12-hour cycle akin to the timing of ocean tides. Although those past findings proved inconclusive in the shallow regions of the fault where bigger earthquakes strike, results showed that deep, low-frequency earthquakes take place 50% more often when the daily crustal tides hit their maximum heights. To learn if the total number of small, deep earthquakes rises and falls also with the fortnightly tide, van der Elst and his colleagues returned to data from Parkfield to analyze 81,000 low-frequency quakes and found that their abundance correlated statistically with the 2-week tidal pattern. It turns out that low-frequency earthquakes are 10% more common during weeks when the biweekly Earth tide is growing. Van der Elst and his team identified two time periods each month when the low-level, deep quakes were most common, and both correlated with the two waxing cycles of the fortnightly tide, when tension builds in the fault, rather than the tidal peaks, when tension is greatest. Although the results “are not directly relevant to forecasting damaging earthquakes, [they] open a new window to deep faulting, which remains mysterious in many ways,” commented John Vidale of the University of Washington in Seattle. Vidale did not participate in the study. The results may provide valuable insights into the working of the deep fault, according to van der Elst. For example, only a weak fault would respond to the small amount of stress caused by tides, and the sensitivity to tides at deep levels might indicate the presence of pressurized fluids that lubricate the fault far below ground, he suggested. Also, “variations in fault response over the fortnightly cycle tells you something about how long it takes for the fault to reaccumulate stress after an episode of low-frequency earthquakes,” said van der Elst. Future studies will explore these and other mechanisms. California’s San Andreas fault has been quiet for far too long and is overdue for a major earthquake, a leading geoscientist has announced. 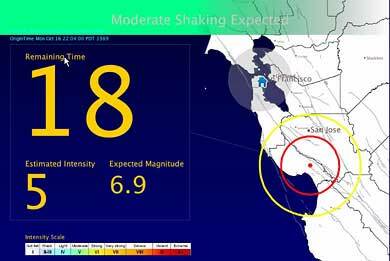 In a conference this week, the state was warned to prepare for a potential earthquake as strong as magnitude 8.0. “The springs on the San Andreas system have been wound very, very tight. And the southern San Andreas fault, in particular, looks like it’s locked, loaded and ready to go,” said Thomas Jordan, director of the Southern California Earthquake Centre. Jordan gave his warning in the keynote talk of the annual National Earthquake Conference in Long Beach, the Los Angeles Times reports. Here’s why he’s so worried: research has shown that the Pacific plate is moving northwest relative to the North American plate at a rate of around 5 metres (16 feet) every 100 years – and that’s building up a whole lot of tension along the San Andreas fault line that needs to be relieved regularly. But the last time southern California experienced a major shake-up was in 1857, when a magnitude 7.9 quake rupture almost 300 km (185 miles) between Monterey County and the San Gabriel Mountains. Further south, areas of the fault line have been quiet even longer, with San Bernardino county not moving substantially since 1812, and the region near the Salton Sea remaining still since the late 1600s. All of this means that there’s a lot of tension underneath California right now. Last year, Jordan’s team found there’s a 7 percent chance the state will experience a magnitude 8.0 quake in the next three decades. And that’s a big problem. Back in 2008, a US Geological Survey report* found that a magnitude 7.8 earthquake on the southern San Andreas fault could cause more than 1,800 deaths, 50,000 injuries, US$200 billion in damage, and long-lasting infrastructure disruptions – such as six months of compromised sewer systems and ongoing wildfires. According to their modelling, that size earthquake could cause shaking for nearly 2 minutes, said Jordan, with the strongest activity in the Coachella Valley, Inland Empire and Antelope Valley. While Jordan praised recent initiatives to earthquake retrofit buildings in LA, he warned that the rest of the state needs to get ready for the next big one, by making residents more aware of ways to stay safe during an earthquake and when and how to evacuate.